Retail technology has changed the landscape quite a bit over the years. Now that we’re living in the middle of the information age, retailers rely on cutting edge technology more than ever to stay ahead of the competition. Since digital advancements have become a driving force behind the industry, it’s crucial to determine what technology can promote success in today’s retail environment and why you should Look for Ruggedised Industrial Pointing Devices Today! Shopping experiences are much different today than they have been historically. Rather than checking out the latest trends in stores and catalogues first, shoppers start their shopping journey by looking on their mobile phones for what they want before potentially wasting a trip. Omnichannel retail is a modern approach that allows a smooth, cohesive customer experience across multiple platforms and locations. This retail technology allows stores to meet customers where they are, using the customer’s preferred shopping methods. Technology has influenced more than just retail channels. 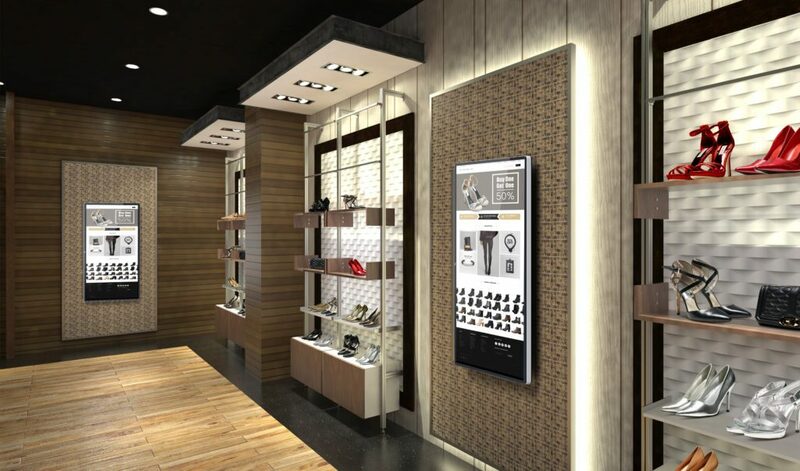 Stores are now using retail technology to create enhanced experiences. Customers are less likely to visit brick-and-mortar locations unless those locations offer something they can’t get with their mobile phone alone. Shopper expectations are high, so retailers are being called upon to deliver more than basic inventory. 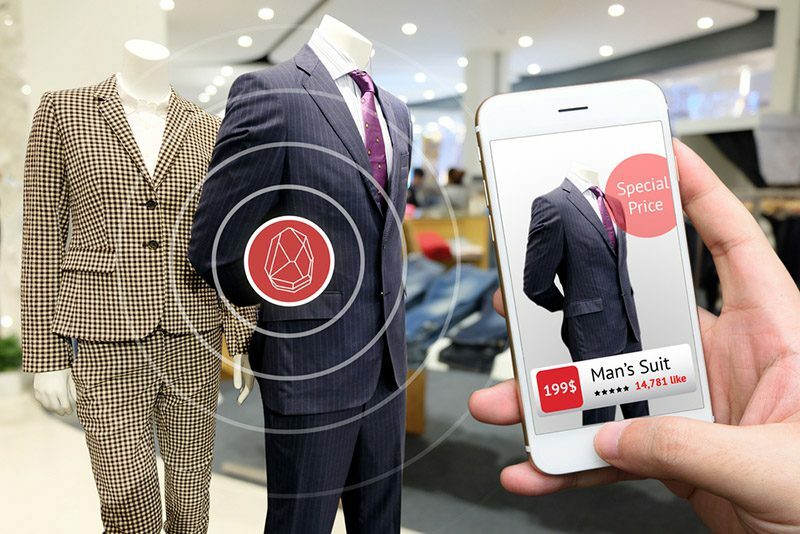 Several retailers are leveraging retail technology such as virtual reality to provide a unique “try before you buy” experience, or providing streaming services in-store for customers waiting in line. Retailers today are utilizing technology to provide patrons with new, innovative experiences that will drive traffic and keep them ahead of the competition. While some high-tech and expensive systems might be a stretch for businesses, there are several kinds of retail technology that are both accessible and practical for retailers. Each of these has its own application and is good as a standalone solution, however when combined, can provide a path to retail success. The point of sale is usually the last impression a customer has of a retailer, so it’s becoming a customer service focus for the industry. Brands and chains are truly analyzing how they interact with shoppers at the checkout and reevaluating whether they are delivering an experience that leaves the customer wanting to come back again and again. POS systems enable customers to purchase goods from your company, but they are utilized for much more than payment transactions. A POS system is a central hub of a business, comprised of hardware and software components that make up a complete retail technology solution. A good system will help retailers simplify and streamline their operations, receive detailed reporting, assist with inventory, and manage employees. The right software will have features that record and analyze sales data, log customer purchases, determine when stocks are low and orders should be placed, allow employees to clock in and out, and assist managers with scheduling and payroll. 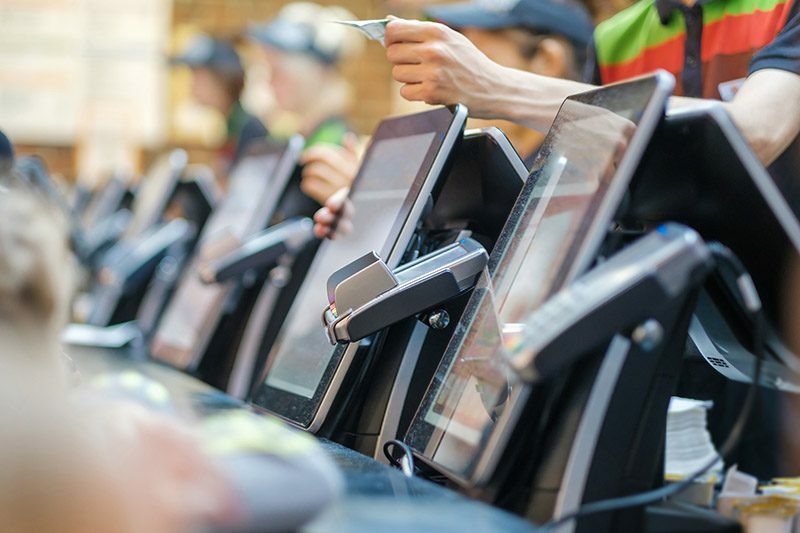 POS Hardware should include a register screen, a barcode scanner, a card reader, a receipt printer, and a cash drawer to make sure all of your bases are covered. Kiosks that allow customers to drive their own experience and give them the tools to assist themselves are increasing in popularity, and it’s not difficult to see why. They provide users with convenience and speed. They also have line-busting capabilities that benefit staff. With self-service kiosks, retailers can streamline routine tasks and free up the hands of sales associates so they can focus more on assisting shoppers. This efficient retail technology also provides a better ROI, as it effectively reduces the number of employees needed to manage operations. Electronic devices are shifting from stationary to mobile all over, and retail technology is no exception. Mobility allows retailers to provide the experiences that drive customer loyalty. Each retailer has unique needs specific to their business, so there is a wide range of mobile devices available at several different price points to address these individual concerns. It’s crucial that mobile solutions can integrate with the rest of your technology, so that you have a seamless solution that works for your business. Digital signs work similar to standard analog signs in that they display content that conveys a message to your customers. The difference is that digital signage utilizes a screen, and the content can be anything from traditional store logos to videos and augmented reality. Newer retail technology can create personalized customer experiences with touchscreens and interactive displays, which keep shoppers engaged and allow retailers to stand out from the competition. Cutting-edge software enables retailers to control the content they display on their devices and receive insight and analytics on customer engagement. The retail environment demands that businesses stay connected with customers to succeed. However, before you start adding innovative retail technologies, you need a solid network to be able that can handle the additional workload. 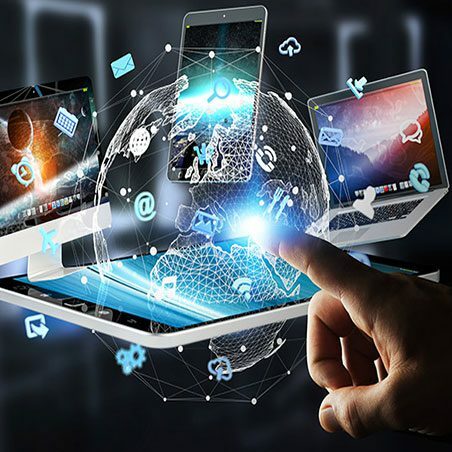 Connectivity requires a certain level of bandwidth, data, speed, and security that can be difficult to achieve with a standard system. Cloud managed networks are a great option if you need a single platform, and for wired systems, a wired failover solution can mitigate losses when outages happen. Guest access to WiFi is another critical component of positive customer experiences. In this day and age, the value of a connected customer cannot be ignored. While you might not require a complete overhaul of your current systems, updates are being made to retail technology, and are having a major impact on the success of brick-and-mortar stores. 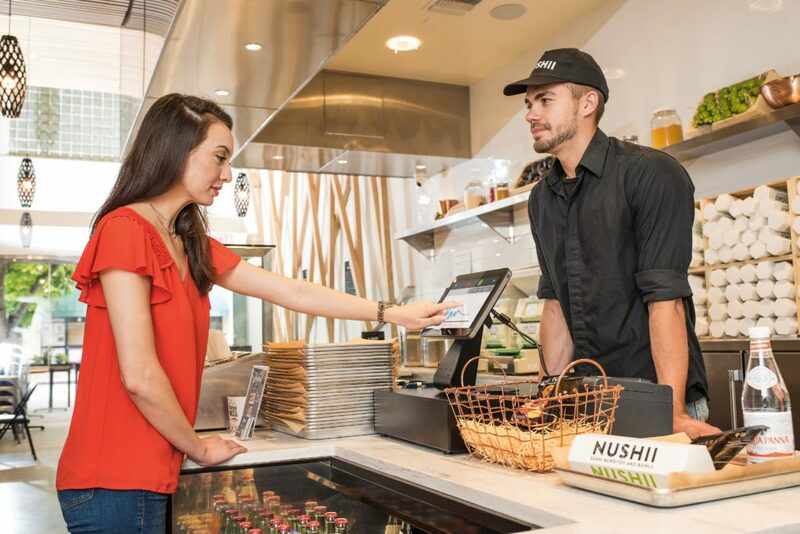 Newer POS systems are sleek and often wireless, which fits the aesthetic many retailers are going for. These can include tools that allow sales staff to quickly look up information on products and provide better customer service. Moreover, newer security features enable merchants to further protect and encrypt their own data as well as their customers’ data. Successful retailers have a deep understanding of and appreciation for improved security and better customer service, which is why these updates have become so popular. And fortunately for businesses, the software updates often complement their existing retail technology, which means that small changes can make a big impact, giving retailers the tools they need to increase sales and have greater customer retention. Mobile point-of-sale (mPOS) is a form of retail technology that allows retailers to bridge the gap between online and in-store customer experiences. 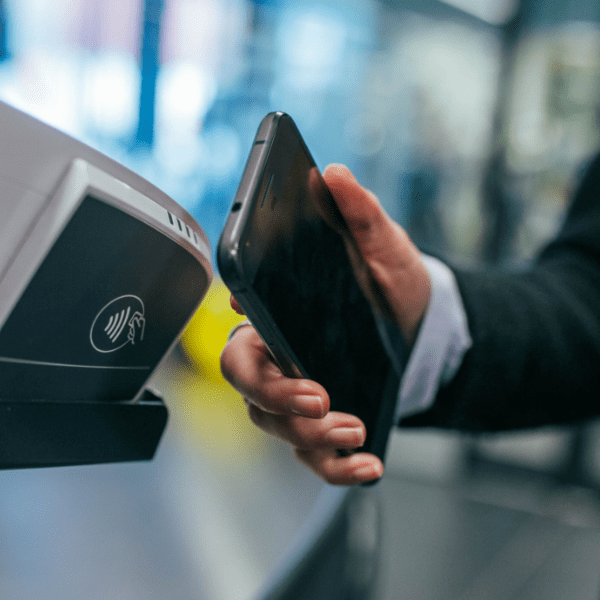 Retailers can utilize mPOS as a tool to provide information to customers, perform functions of a traditional POS terminal, and create a better customer experience overall. Tablets and handheld computers are the most common devices used for mPOS. 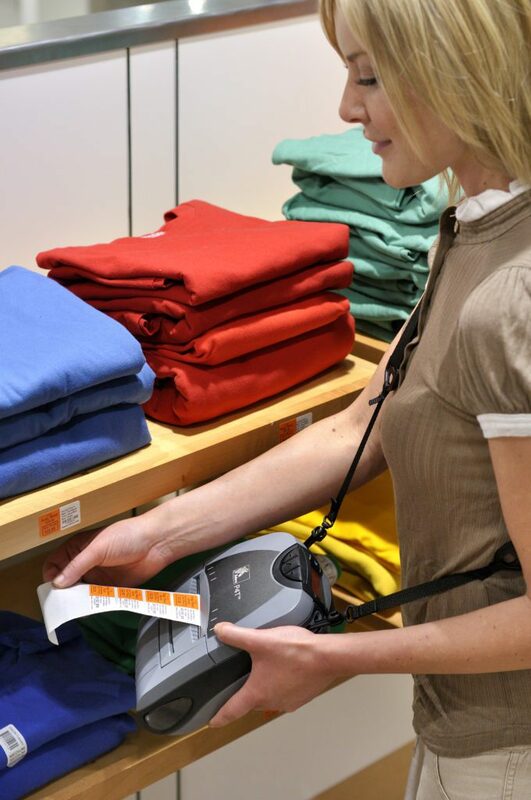 Some devices are adaptable so they can be used as a retailer’s sole POS system when mounted on a base, but most are used as an enhancement to their stationary POS to get sales associates out from behind the cash wrap and out on the sales floor, interacting face to face with customers. 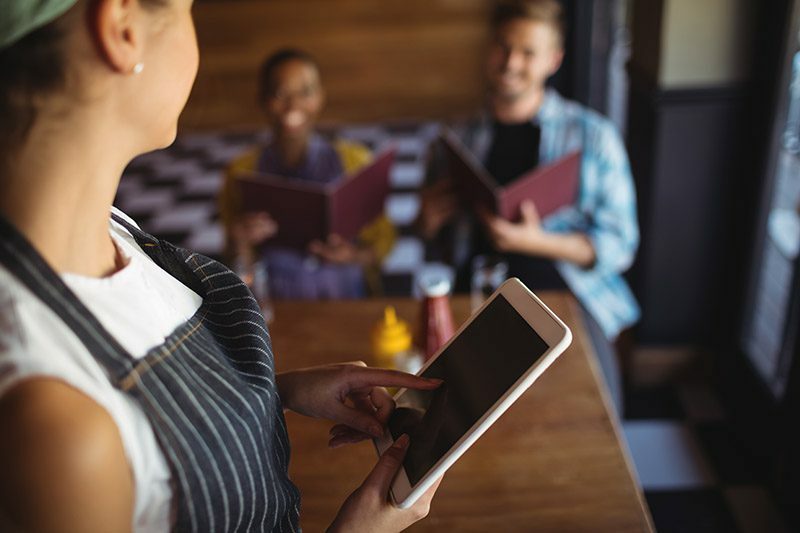 Mobile POS enables sales associates to access information such as a customer’s order status, how many loyalty rewards points are able to be redeemed, or even a customer’s purchase history. Having this information at an associate’s fingertips allows them to quickly respond to customer questions and better assist them with their purchases. This takes customer service to the next level and has shown to impact sales figures directly when used to suggestively sell complementary products or upsell the customer. By taking a consultative approach and engaging shoppers throughout the buyer’s journey, retailers can increase sales and efficiency. 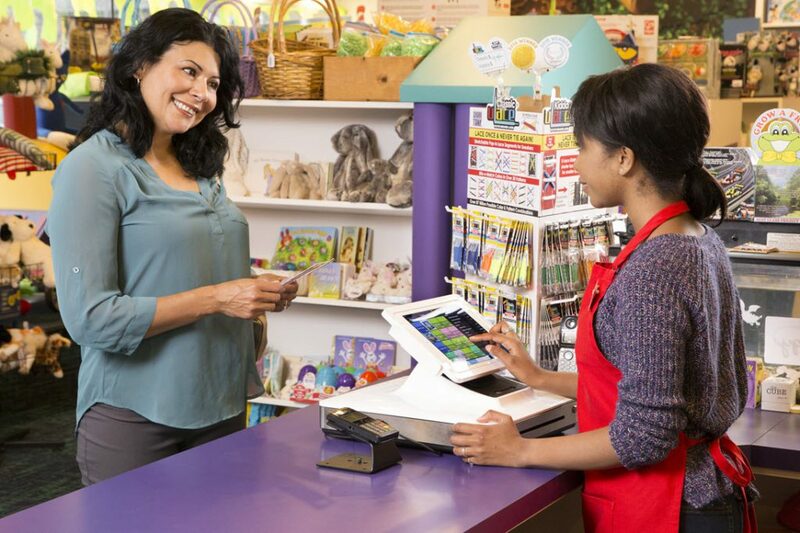 Mobile retail technology empowers sales staff to do their jobs well. As retail technology evolves, shoppers expect that your staff can provide answers to their questions quickly and easily. Sales associates need the ability to access important information wherever they are so they can provide a personalized, convenient in-store experience to shoppers. Many retailers depend heavily upon mobile devices, from order fulfillment in warehouses to product and stock deliveries. Faulty technology can have a massive impact on the bottom line, and can wipe out productivity while it’s down. Retail technology is not immune to malfunctions, and infinite life spans for systems just aren’t possible. Eventually, devices need to be repaired or replaced, and having a mobile device management (MDM) plan is crucial to productivity. A MDM plan can ensure faulty devices are quickly fixed or replaced so that you don’t suffer a massive blow to your bottom line. While internal IT departments can help, it’s not uncommon for a gap in skills or resources to extend the repair process. You can protect your productivity by having a partner that specializes in MDM for your business’s specific mobile devices and is available 24/7 for support. Repair and maintenance for mobile devices requires a specific set of technical skills and resources that can be difficult to come by, so it’s important that retailers don’t wait until a system goes down to establish a MDM plan. With a plan in place, your operations can be back up and running in much less time than it would take to navigate the situation and find a solution ‘on the fly’. When updating existing retail technology or deploying new solutions, you are bound to run into snags unless you pay the utmost attention to detail during the planning stages. There are five critical boxes you should check during this process. How do your customers want to interact with you? Do they want to go to a stand or go to them? Or do both? Are your stores ready to introduce new technologies and devices? Do they have the right infrastructure and enough network bandwidth? What is your support needs for not only the new technologies but also the old during the implementation and migration? You may have pressing needs to take care of right away, but don’t forget to consider what your store’s future needs may be. When planning for updates, it’s a great time to reflect on your entire system and see if you may benefit from new retail technology like mobile devices or buy-online/pick-up-in-store solutions. Before rolling out new tech, make sure you schedule testing periods throughout each stage of the deployment process. For multi-store retailers, pilot stores to test in a live environment and gain valuable feedback from staff in those locations. Allow customers and stakeholders to act as beta testers who can provide you with valuable insight prior to launch. Never underestimate the importance of employee training when it comes to new retail technology. Your staff will be utilizing these systems heavily, and without proper knowledge, they won’t be able to reap the benefits that these solutions provide. While most new technology is designed to be intuitive and user-friendly, you can’t rely on that alone. If you’re switching from an older system to a newer one, anticipate that there will be a learning curve. During any transition from old to new technology, you’re bound to be left with out-of-commission electronics. If you’re considering a change to your retail technology, it’s important that you plan ahead for how you will dispose of outdated or older devices. Responsible businesses will look to recycle these, and if that’s not possible, dispose of them in an environmentally conscious manner. Reputable recycling programs or companies that handle electronics will be able to assist you. They should be able to recycle the components that can be reused, and for parts that can’t be recycled, they should provide documented evidence of proper disposal. Proper disposal means more than just being careful with the environment. You must also be careful with the data any systems may contain. A lot of customer data resides on retail technology systems, which can contain sensitive information. It’s vital that you take this into consideration when upgrading to a new system and make sure that all the data has been completely wiped from all of your devices. Are you ready to discover what the right retail technology can do for your stores? We’re standing by to talk with you.